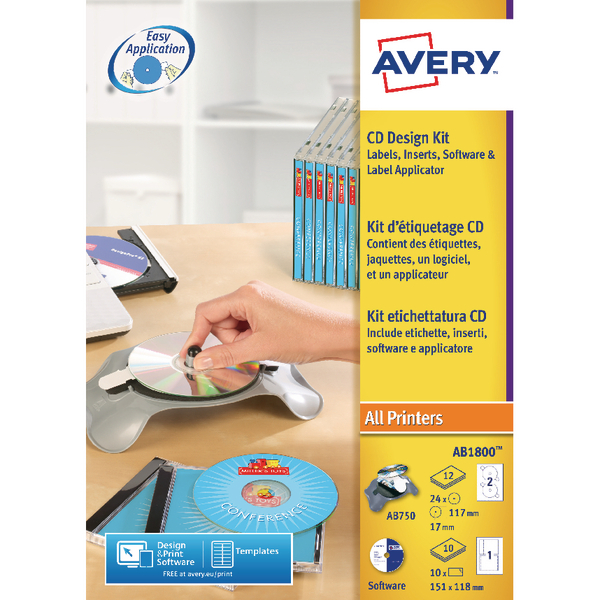 The perfect solution for professional labelling of CDs is our CD Kit. This comes complete with labelling software to create your CD label designs, a unique label applicator, 20 full face, matt CD labels, 4 full face glossy, CD labels and 10 CD case inserts. The labels have practical, removable wings that help centralise your design without touching the label or the CD, whilst the curved applicator means the label is rolled smoothly onto the CD with no wrinkles or bubbles. Also print out your design onto the CD case inserts for a complete presentation. 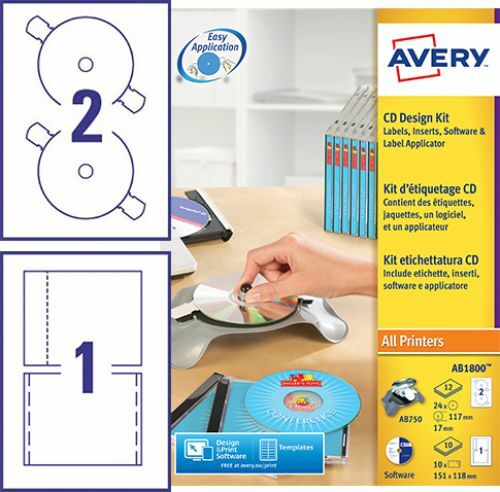 With our free template software, Avery Design & Print, you can easily create a smart, professional look for your CD labels and inserts with your own design and images. Whether you choose to customise a pre-designed template or to start from scratch with your own design, you can trust our software to deliver smart, stand-out results.